Phanason Park Ville, the professional in housing development offers you the highest quality houses for sale in Phuket with a variety of home types and unique styles. With over 20 years of our successful project under brand “Phanason”, since then till today, we are dedicated to continuously create and develop one of requisites to meet consumers’ needs. As we understand the essential foundation and the most important factor in our daily lives, everything is occurred from “Home”. Then, we pay attention to every detail and process for reaching your most satisfaction. Our houses for sale are what you call “Home”. single house 3 floors 4 bedrooms and 5 bathrooms with useable area of 352 square metres. 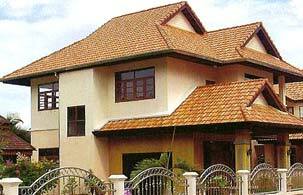 single house 3 floors 5 bedrooms and 4 bathrooms with useable area of 491 square metres.